Professor Emil Salim has had a distinguished career in public service as Minister of State for Administrative Reform, Vice Chairman of the National Planning Board, Minister of Transportation, Communication and Tourism, Minister of State for Development Supervision and the Environment, and Minister of State for Population and the Environment.As Indonesia's First Minister of Environment, he inspired many new conservation initiatives in Indonesia, and helped to ensure that the environment was incorporated in development decisions.He earned his Ph.D. from the University of California at Berkeley, in Economics. 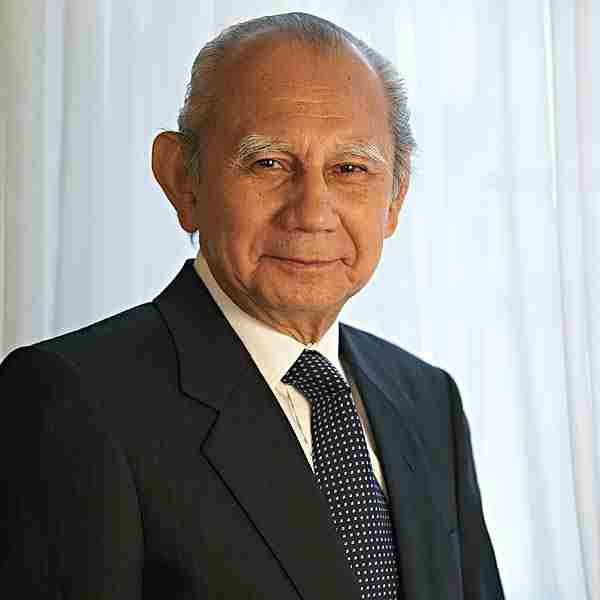 He has been a Professor of Economics at the University of Indonesia since 1972 and a lecturer at the Army Command Staff School from 1966 to the present, influencing hundreds of Indonesians who have gone on to high leadership positions. He has served as a member of the People's Consultative Assembly from 1966, helping to influence public policy. In addition to his public service at the national level, he served as President of the UNEP Governing Council from 1985 to 1987, and as Co-Chair of the World Commission on Environment and Development (1984-1987). In the latter post, he helped to write the influential report, "Our Common Future". He chaired the Preparatory Committee for the 2002 World Summit on Sustainable Development, which was the leading environmental event of this century. His international diplomacy helped to guide delicate international negotiations to a successful conclusion. He was appointed by the World Bank to lead its Extractive Industries Review, which involved a long process of public consultation with a wide range of stakeholders affected by extractive industries. His final report details the problems of extractive industries and how they might best be addressed. Other significant contributions he has made to the environment include Board membership of the International Institute on Environment and Development and the Stockholm Environment Institute. He also served as a member of the World Health Organization's Health and Environment Commission, and as a member of the UN High Level Advisory Board on Sustainable Development. Professor Salim has shown by his actions how solid science and Effective negotiating skills can lead to positive change in the environment. The entire concept of sustainable development was given significant impetus through his work on the World Commission on Environment and Development, and his driving the agenda of the 2002 World Summit on Sustainable Development helped to define the development agenda for the early 21st century. His many achievements well justify his receiving the Zayed International Prize for the Environment.